Small in stature they may be, but a Dwarf's helmet is nothing to be trifled with; proving an equal match to even the sleekest of Elf weapons and that of the most fearsome Orc armies. 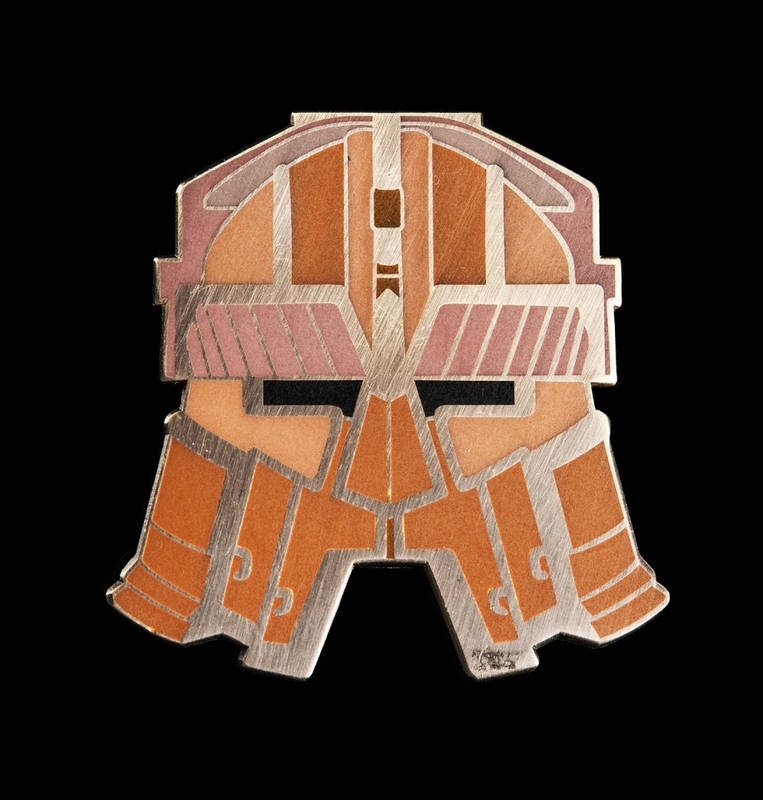 The collectible Dwarven Helmet Trading Pin is made from metal (brass) with enamel paint detailing. It comes mounted on a backing card inside a plastic bag. The reverse of the pin is plain gold metal.